The MB400 MFP series from OKI printing solutions combines black and white printing and copying, color/mono scanning, analog faxing, and scan-to capabilities. These affordable, compact, networked MFPs let you produce professional-looking documents - with productivity-boosting speeds and budget-enhancing efficiency - and distribute them with ease through simple, user-friendly steps. This model produces the first printed page in less than 6 seconds, and delivers up to 30 clear, sharp prints per minute (ppm) and up to 22 copies per minute (cpm). 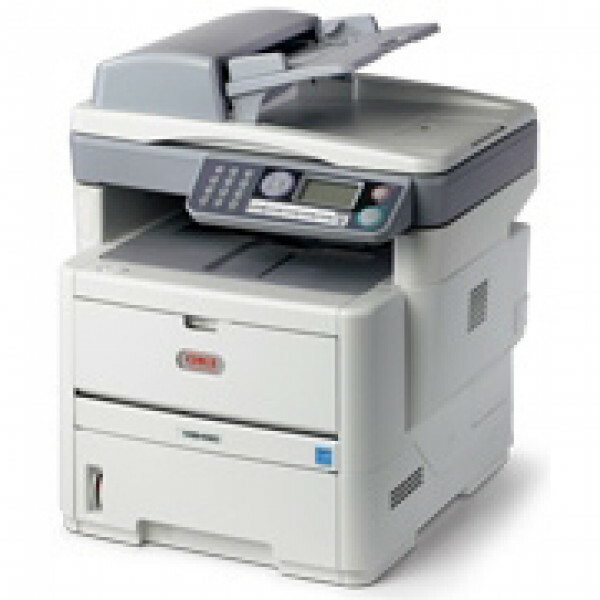 To help you control costs, this MB460 MFP model comes with duplex (2-sided) printing standard, so you can save paper. And, for ongoing savings, its 2-piece consumables configuration lets you replace just a toner cartridge when you need to, instead of the toner cartridge and the image drum. Certified for Windows Vista: Certified for Windows Vista software and devices have undergone compatibility tests for ease-of-use, better performance and enhanced security.